If you worry about your privacy and security being compromised when you download via BitTorrent, OneSwarm is your program. OneSwarm is a safe BitTorrent client that uses SSL encryption to make sure your file transfers are safe from prying eyes. At the same time, it lets you create a friend list to which you can add all your trusted mates and exchange files with them in a secure environment. 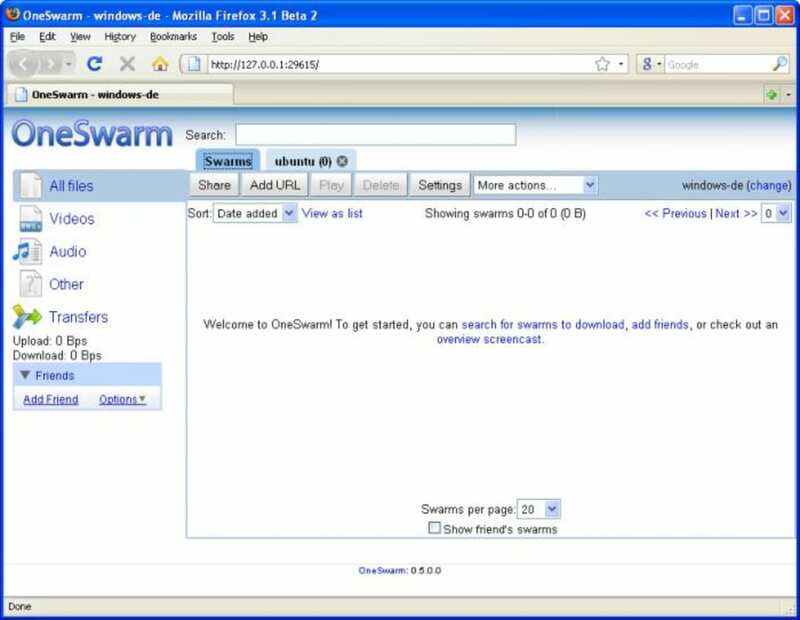 OneSwarm seems a bit confusing at first sight, because it's got a double interface: you can choose between a web-based interface that opens up in your browser, or a standard BitTorrent interface that's actually based on Azureus. Either way, you get the usual sections in this sort of programs: current transfers, completed files and, in the case of OneSwarm, another category covering your transfers to friends. In general terms OneSwarm works fine, though you may have the odd issue relating network configuration and firewalls. The program includes a handy preview function to check that what you're downloading is really what you want, but unfortunately no embedded torrent search. With OneSwarm you can rest assured that your BitTorrent transfers are reliable and secure. installation et tuto ?. Salut, pour le téléchargement, l'installation et la config j'ai trouvé ce tuto. plutot pas mal car il est basé sur la derniére version. What do you think about OneSwarm? Do you recommend it? Why?